Tomorrow morning, technical and administrative checks. 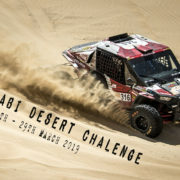 Abu Dhabi Desert Challenge Just finish! 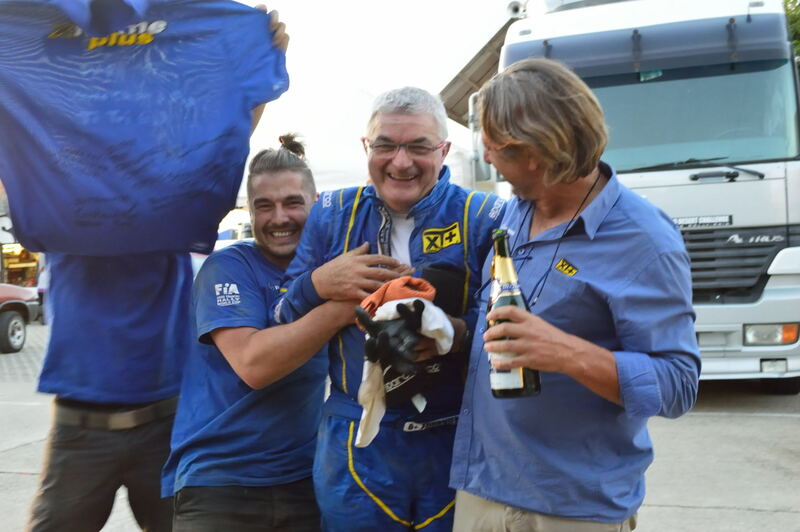 Very good result for xtremeplus Polaris factory team. But what is fabulous is that in the général all car we can find in the first 10 three xtremeplus Polaris. 339 rookies they had good experience they enjoyed even if it was hard. https://www.xtremeplus.fr/wp-content/uploads/2018/08/26G1397.jpg 2000 3000 Ana Laura Figueroa https://www.xtremeplus.fr/wp-content/uploads/2018/11/logo.png Ana Laura Figueroa2018-03-29 17:38:272019-01-24 12:50:51Abu Dhabi Desert Challenge Just finish! 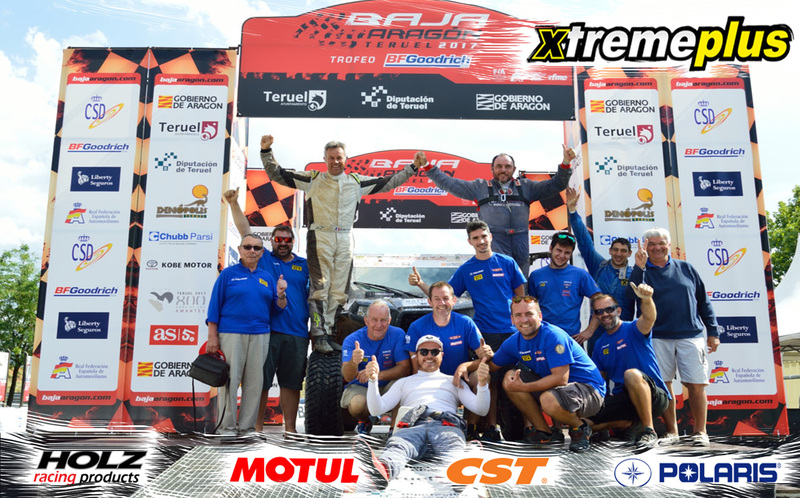 XT+ will attend the race with 6 Polaris xt+30 FIA T3. 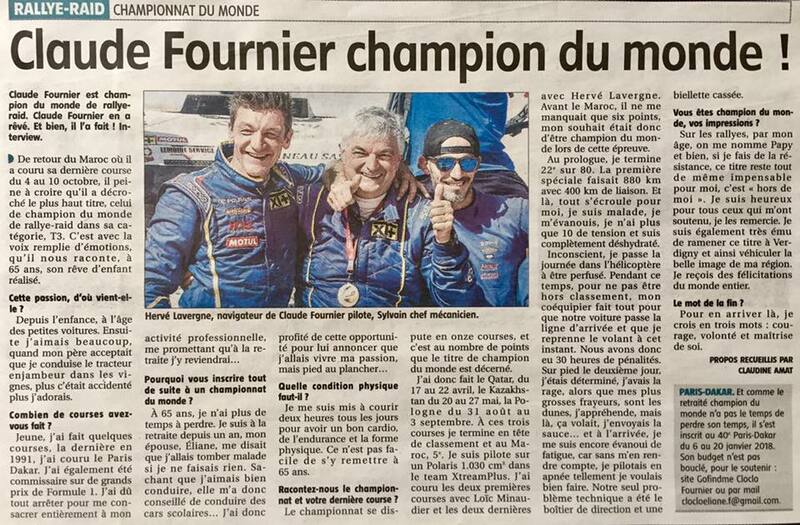 GARROUSTE Patrice: 2nd this year in Dakar Rally 2018 with Loic Minaudier well known bike rider. 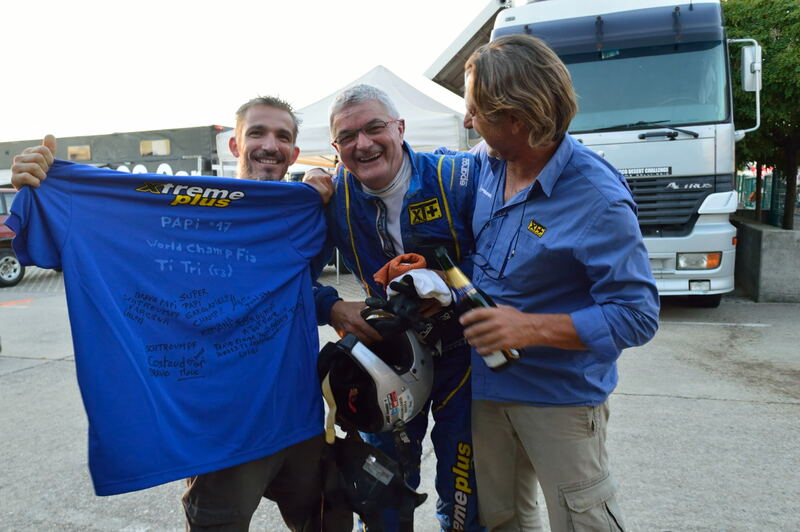 FOURNIER Papi Claude and Szymon Gospodarczyk: Are the team to bit +. 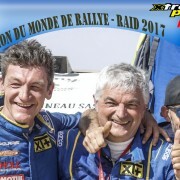 T3 2017 World Champion and 3rd in 2018 Dakar. PEÑA Jose Luis and Rafael TORNABELL: First participation in ADDC but already good experience whit a Oilibya Marroco Rally and a very good Dakar 2018. 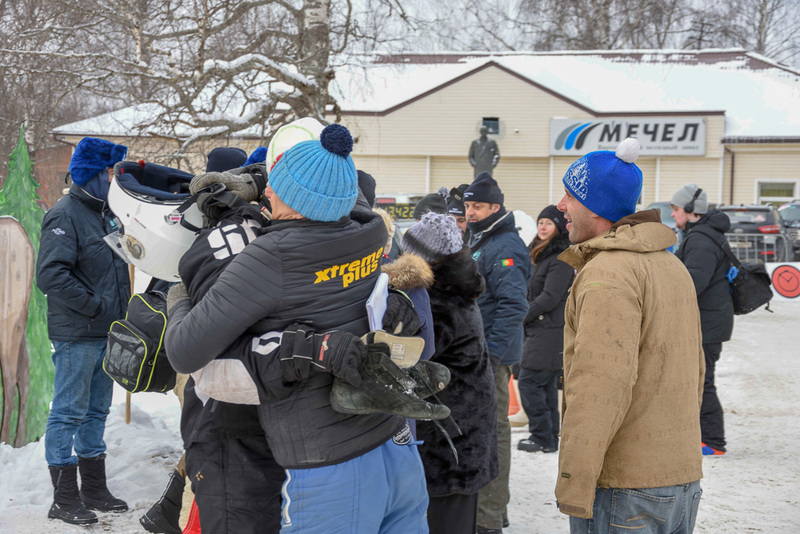 Ravil MANGANOV is coming back with his experimented codrive Kirill Shubin, after a 3dr position in Dakar 2017. They are here to learn and have fun. THE YOUNROOKIES OF THE YEAR 2018!! And with a lot of fun!!! At only 1 minute from 1st T3 and 40 seconds from the 2nd. Khalid finished 4th general all. Today he did very good stage, but with the mistake of yesterday he cold not do more then 4 th T3. After few years riding motorbike they are talking à new challange: going to Dakar 2019 with SXS. 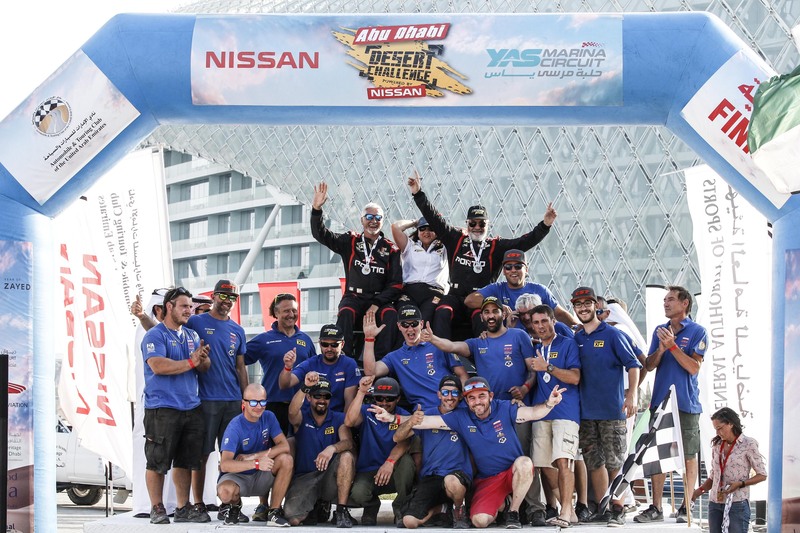 In order to achive their goal they will start racing the Dubai Baja , then Hellas Rallye , Merzouga Rallye and eventualy Morocco in october. 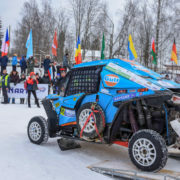 The 2017 world champ T3 Claude ( better know as Papi ), will pass from the freezing temperature of Baja Russia Northern Forest ( where he get a very good 2nd place in T3 ), to the hotest temperaure of Dubai. The goal is to get good result and defend his 2017 title. 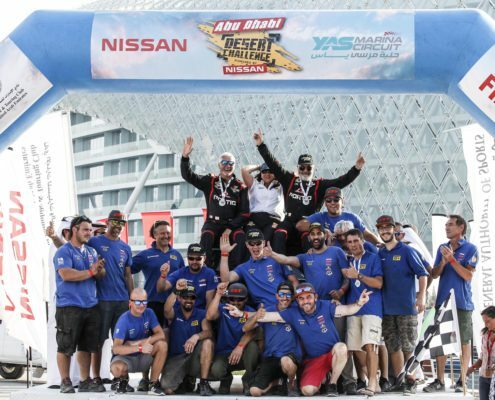 Khalid is a fast driver that use to race in Qatar and also international races, for his first race with xtremeplus he put all the chance on his side and took well known codriver Sebastien Delaunay. 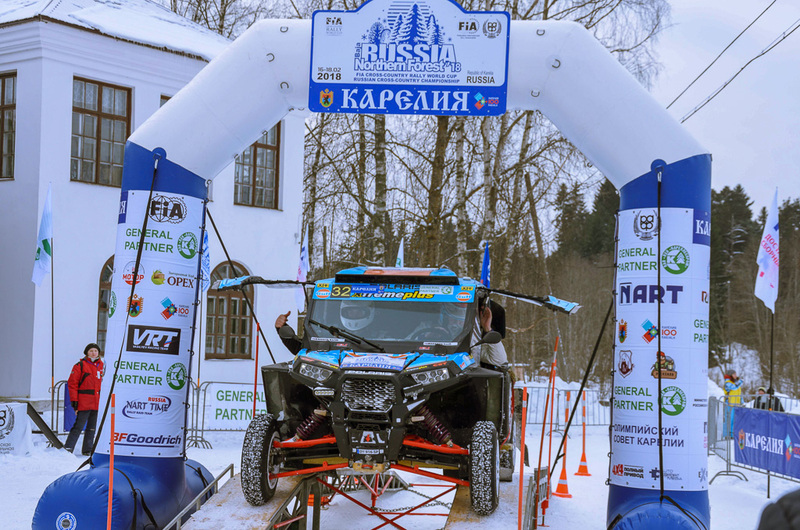 “Russia – Northern Forest 2018”, the FIA World Cup for Cross-Country Rallies round, is held in the Republic of Karelia on 16-18 February 2018. Victory in the T3 category for the Russian duo Dmitry PONOMARENKO and Kirill Shubin and 9th in the General. 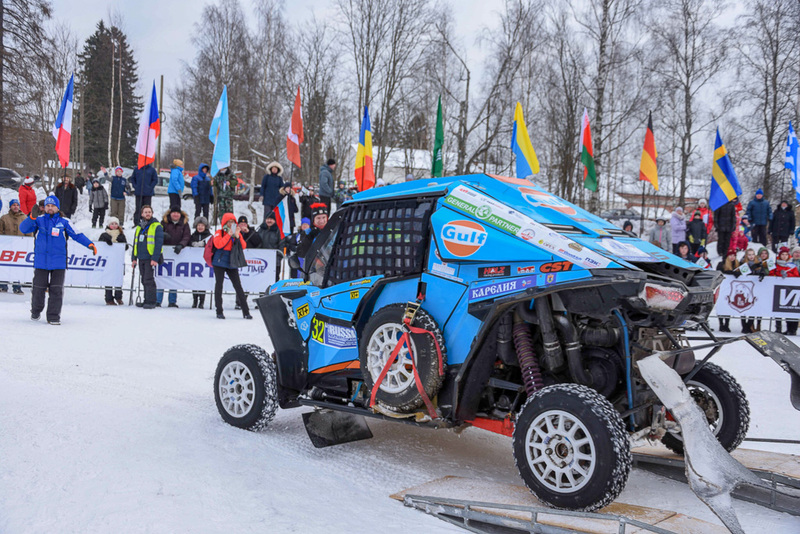 The 2017 world T3 champion Claude Fournier ( bette know as Papy ) and Szymon Gospodarczyk in their first participation in the snow, they reached the second place in the category t3 and 10 in general. Vicent Vincent Gonzalez and Benjamin Benjo El Blanco Rosso finish second and third respectively. 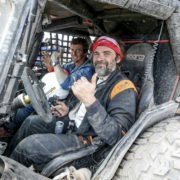 Benjamin and Loic Minaudier on Sunday won the last special stage of the category. Congratulations to the team Blanco&Rosso! Podium of the Silk Way for our pilots! 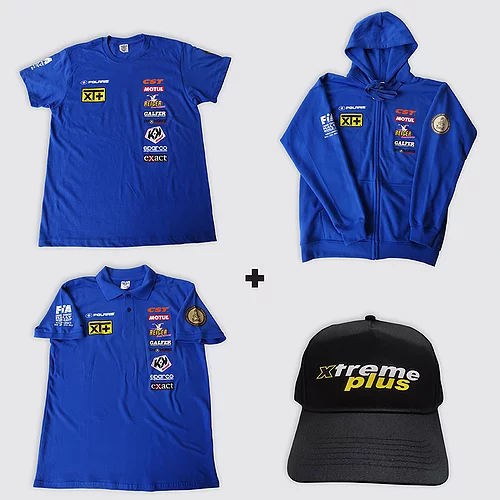 After 15 days of running, to travel more than 10.000 km of racing that was varied and demanding for both man and machine, the Team of Xtreme Plus arrived at Xi an! 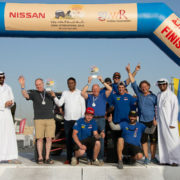 The drivers won the 2nd, 3rd and 4th place in the category. Congratulations to all these brave pilots! 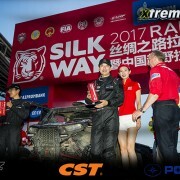 Podio de la Silk Way para nuestros pilotos! 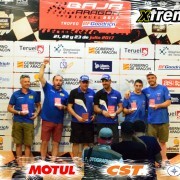 Despues de 15 dias de carrera, de recorrer mas de 10.000 exigentes kilomentros de carrera, el Team de Xtreme Plus llego a Xi an! 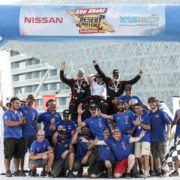 Los pilotos ganaron el 2do, 3ro y 4to puesto de la categoria. Felicitaciones a todos estos valientes pilotos! https://www.xtremeplus.fr/wp-content/uploads/2017/07/IMG_9056.jpg 500 750 Ana Laura Figueroa https://www.xtremeplus.fr/wp-content/uploads/2018/11/logo.png Ana Laura Figueroa2017-07-29 16:41:182019-01-24 00:49:41Podium of the Silk Way for our pilots!